Tort Of Another Fees Are Consequential Damages, Not Recoverable As A Cost Item. The December 2018 issue of Orange County Lawyer includes an article by mediator William J. Caplan, entitled "Backdoor Attorneys' Fees Based on the Tort of Another: A Mediator's Perspective." The article is useful for its clarity, for its brevity, and because this can be a confusing area of practice. An understanding of the "tort of another" doctrine, as a basis for recovering attorney's fees, is a useful tool for mediators, because counsel will sometimes advance a claim for attorney's fees based on the doctrine, making it important for a mediator to evaluate whether the doctrine applies in a particular case. In addition, an unexpected claim for attorney's fees in a mediation can give a party leverage. My colleague Mike Hensley and I have also written an article about the topic, and our blawg California Attorney's Fees includes sidebar topics on fees as damages and tort of another. Policy Of Encouraging Parties To Resolve Disputes Without Resort To Litigation Supports Liberal Construction Of Statutory Language. “This case presents the question of whether the Davis-Stirling Act, and particularly the fee-shifting provision of section 5975, subdivision (c), applies to an action to enforce a settlement agreement arising out of a mediation conducted pursuant to the mandatory alternative dispute resolution requirements of the Act.” Rancho Mirage Country Club Homeowners Association v. Hazelbaker, et al., No. E063272 (4/2 8/9/16) (Hollenhorst, Ramirez, Miller). Section 5795, the fee-shifting provision, applies to litigation “to enforce the governing documents.” So is an HOA lawsuit to enforce an agreement that was reached during mediation, is an action “to enforce the governing documents” of the HOA? Yes, says the Court of Appeal, on the facts here. The pre-litigation ADR scheme applying to HOA disputes is intended to encourage the parties to an HOA dispute to settle their dispute through ADR rather than through litigation. The Court reasoned that the policy would be thwarted if an “action to enforce the governing documents” was narrowly construed, because then a party could settle an HOA dispute through mediation, not fulfill its settlement obligations, and avoid cost-shifting entirely. Besides, the gravamen of the HOA’s original complaint here was that the defendants had not taken the steps necessary to bring their property into compliance with the HOA’s CC&Rs. COMMENT: The HOA dispute originally arose over unapproved changes to a patio area. The prevailing party here, the HOA, sought $31,970 in attorney’s fees, and the trial court awarded only $18,991 in attorney’s fees. Now the Court of Appeal has awarded the HOA its additional costs and attorney’s fees on appeal . Kinda argues in favor of the mediation process, and carrying out settlement obligations after an agreement has been reached. The Parties Had Agreed To Mediate. Efforts to avoid mediation can be costly. For example, in real estate disputes, the standard California Association of Realtors purchase and sale agreement requires mediation before litigation – and participation in mediation becomes a precondition to collecting attorneys fees for a prevailing party. In our next case, a family law case, the parties agreed to mediate their disputes concerning a martial settlement agreement, and the efforts of the ex-husband to thwart mediation resulted in a sanctions award of $10,000 under Family Code section 271. Dyer v. Dyer, H038921 (6th Dist. Feb. 20, 2015) (Mihara, Bamattre-Manoukian, Grover) (unpublished). Most of the fee award ($50,000) was awarded under section 2030, not 271. To reach its result, the Court of Appeal first had to conclude that a fee provision in a marital settlement agreement was not so broad and exclusive as to preclude fee recovery under section 2030. See today’s post in California Attorney’s Fees. However, there was also substantial evidence that Wayne Dyer sought to avoid mediation, and that Wayne’s claims about a lack of evidence on this point were not entirely candid: “The record is replete with evidence,” said the Court, “that Wayne repeatedly attempted to avoid mediation even after the court had ordered that it occur.” That litigation conduct resulted in $10,000 in attorney’s fees as a sanction award to Carrie Dyer. COMMENT: The Court of Appeal notes: “Carrie’s attorney explained that ‘we finally had our mediation, and it was unsuccessful.’ Carrie had decided to dismiss her motion due to her medical condition and lack of financial resources.” Notwithstanding the fees awarded under sections 2030 and 271, will hardball litigation tactics ultimately succeed in their objective? On December 19, 2012, I posted about Grossman v. Park Fort Washington Association, Case No. F063125 (5th Dist. Dec. 19, 2012) (Franson, J. ), a case in which the Court of Appeal held that the trial court correctly awarded fees for pre-litigation mediation to homeowners involved in a tussle with their homeowners association over construction of a backyard cabana and fireplace. Today, January 15, 2013, the Court of Appeal ordered the case to be published with minor changes that do not affect the judgment. Eclipse Chewing Tobacco. c1871. Library of Congress. Our blog has a sidebar category “Mediation: Condition Precedent” that conveniently summarizes the problem that arose for the plaintiff/respondent/tenant in the next case. The accompanying tobacco label for a solar eclipse provides a graphic for the outcome. In this landlord/tenant dispute, tenant prevailed, with the trial court awarding the tenant $12,140.84 in actual damages, and $25,485 for landlord’s bad faith retention of a security deposit. The tenant moved for attorney’s fees pursuant to a clause in the lease. Of the $107,217 in fees sought by the tenant, the court awarded $73,125 in attorney fees. The calculus, however, changed substantially after the landlord appealed. De Carlo v. Kosser, Case No. B237278 (2nd Dist. Div. 5 January 7, 2013) (Armstrong, Acting P.J., author) (unpublished). On appeal, the judgment was affirmed, except that it was reversed as to attorney fees. The reason? Here, the opinion hedges. If the tenant’s suit was a suit on a lease, then the tenant failed to request mediation, a condition precedent to the recovery of fees under the lease. And if it was not a suit on a lease? Then it was a suit on a settlement agreement that did not provide for an award of fees. Ouch either way. In Grossman v. Park Fort Washington Association, Case No. F063125 (5th Dist. Dec. 19, 2012) (Franson, J.) (unpublished), the Court of Appeal held that the trial court correctly awarded fees for pre-litigation mediation to homeowners involved in a tussle with their homeowners association over construction of a backyard cabana and fireplace. How did the court get to that result? 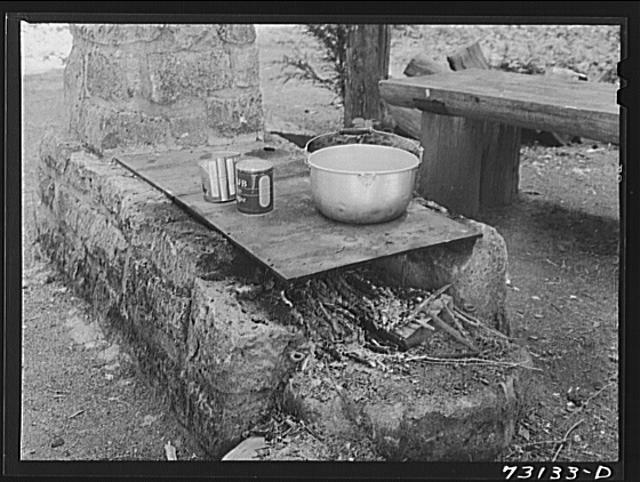 Outdoor fireplace built by U.S. Forest Service. Russell Lee, photographer. 1942. Library of Congress. Civil Code sections 1354(c) reads: “In an action to enforce the governing documents, the prevailing party shall be awarded the reasonable attorney’s fees and costs.” The homeowner’s association, which resisted paying attorney’s fees, argued that fees incurred in pre-litigation mediation are not incurred “in the action”, and hence, should not have to be paid. Nope, said the Court of Appeal. “This text does not explicitly limit the recovery of attorney fees and costs to those items incurred in the lawsuit itself.” (italics in the original). Three things are important: (1) the existence of an action to enforce the governing documents; (2) a prevailing party; and (3) reasonable fees and costs. The Grossmans, who were plaintiffs and respondents, easily satisfied the first two conditions. As to the question of reasonableness, because the Legislature has required ADR, “a party acts reasonably when it spends money on attorney fees and costs during pre-litigation ADR.” Thus, the third condition was also satisfied by the Grossmans. The pre-litigation attorneys fees related to 38.1 hours of work at $350/hour (i.e., $13,335) and pre-litigation costs were an additional $875 – a fraction of the total requested ($116,165), and a fraction of the total awarded ($112,665). In Frei v. Davey, 124 Cal.App.4th 1506 (2004), the Court of Appeal made it very clear that parties need to pay attention to those pesky provisions requiring that one request mediation before filing suit, or else risk losing attorney’s fees even if one prevails. That’s what happened to the plaintiff, at the trial court level, in Castleton Real Estate & Development, Inc. v. Tai-Fu California Partnership, Case No. G044304 (4th Dist. Div. 3 June 28, 2012) (Rylaarsdam, J., author) (unpublished). The outcome, however, was changed by the appeal. Plaintiff Castleton sued to recover its broker’s commission, without first requesting mediation. Big problem: the listing agreement required Plaintiff to request mediation before initiating litigation. Defendant Tai-Fu cross-complained, also without requesting mediation. When Castleton then requested mediation, Tai-Fu refused to mediate. Castleton prevailed on both its complaint and on the cross-complaint against it. However, when it requested attorney’s fees from the trial court, it was rebuffed, because it had failed to request mediation, a condition precedent to bringing suit. Castleton appealed. On appeal, Castleton conceded it could not recover fees for the prosecution of its complaint because it failed to seek mediation prior to filing it. However, Castleton contended it was entitled to fees for its defense against the cross-complaint, as the cross-complaint initiated a separate action. The Court of Appeal agreed: the filing of a cross-complaint “institute[s] a ‘. . . . separate, simultaneous action’” distinct from the initial complaint and makes the cross-defendant a defendant. Bertero v. National General Corp., 13 Cal.3d 43, 51 (1974). The Court remanded the matter to the trial court to determine the appropriate amount of fees to award. “Half a loaf is better than none.” Flickr Creative Commons License. mystuart’s photostream. We have a sidebar category, "Mediation: Condition Precedent," reflecting the fact that many contracts, such as real estate purchase and sale agreements, and listing agreements, now require a party to mediate before filing a lawsuit, as a condition precedent to the recovery of attorney's fees. File the next case under: "condition precedent: not." Keith v. Shuttleworth, Case No. D058881 (4th Dist. Div. 1 June 14, 2012) (McConnell, P.J., author) (not for publication). Plaintiff sued defendant for breach of a promissory note, and defendant cross-complained for breach of a listing agreement. The trial court awarded plaintiff $71,721 for breach of the note, $219,171.18 for fees, and $19,205.34 for other costs. Defendant/cross-complainant lost its cross-claim to recover a commission, and appealed. One of defendant's arguments was that the listing agreement required mediation first in order for plaintiff to be able to recover attorney's fees later. But you already know the answer to that: plaintiff sued on the promissory note, not the listing agreement, and the promissory note, though it did have an attorney's fees provision (lucky for the plaintiff), did not require mediation (lucky again for the plaintiff). But didn't the promissory note "arise from" the listing agreement transaction? Issue forfeited because not timely raised. Besides, said the court, we are satisfied that the "complaint for breach of the promissory note is not an action under the Listing Agreement." The Cullens bought a vacation home in 2002, and sued the sellers, the Corwins, in 2009, for failing to disclose the defective condition of the roof. The Cullens lost their case based on the Corwins’ statute of limitations defense, and also got hit with a $16,500 attorney’s fees award in favor of the Corwins. The Cullens appealed. Cullen v. Corwin, Case No. C067861 (3rd Dist. June 7, 2012) (Butz, J., author) (certified for partial publication). The result was bad news – and good news – for the Cullens. The bad news – not certified for publication -- was that the Cullens’ complaint was indeed barred by the statute of limitations. “If . . . any party commences an action without first attempting to resolve the matter through mediation, OR refuses to mediate after [the making of] a request . . . , then that party shall not be entitled to recover attorney [ ] fees . . . . “ (Uppercase type & italics added in the opinion.”. The Cullens apparently filed suit without first requesting mediation. That would have precluded them from recovering attorney’s fees—had they prevailed. But the facts here were that the Cullens lost, and that it was therefore the Corwins who requested attorney’s fees. Unfortunately, as it turned out for the Corwins, the Cullens did request mediation in 2010, after commencing suit, but the Corwins refused to mediate. Because the plain language of the standard form purchase agreement also provides that if any party “refuses to mediate after [the making of] a request,” then that party doesn’t recover fees, the fee award in favor of the winning defendants was reversed by the Court of Appeal. Steep Price for Noncompliance With Mediation Condition Precedent. The object lesson of this next case is that attention really must be paid to those mediation clauses that serve as a condition precedent before a party can initiate litigation or arbitration. In a 2004 case, the Fourth District, Division Three, put teeth into a mediation provision contained in a California Association of Realtor (CAR) sale/purchase form contract that required parties to mediate before resorting to arbitration or litigation. Frei v. Davey, 124 Cal.App.4th 1506 (2004). Frei barred the prevailing parties from recovering attorney’s fees because they refused to mediate. We have posted earlier on the Frei case. Here, the “bite” of the mediation provision came up outside the context of a CAR Form, and in the context of enforcement of a settlement agreement. Adams v. Newport Crest Homeowners Assn., Case No. G044230 (4th Dist., Div. 3 Mar. 13, 2012) (unpublished). Homeowner Adams was involved in litigation with her HOA resulting in a settlement agreement that she wanted to enforce – sort of. The settlement agreement included a mediation agreement, but she did not wish to mediate. She filed further court proceedings without availing herself of mediation first, and the HOA successfully moved to enforce the mediation provision requiring her to mediate (apparently mediation did not take place). That was a costly exercise, resulting in a trial court ruling that she owed the HOA $58,212 in attorney’s fees.